I didn't really think much about running this week but it didn't stop me from having two good runs since last Sunday. Friday was a work from home day and I ran early so I'd have time to shower. I needed to be presentable in video meetings. Although they can't tell I'm wearing sweats, they can still see my face. It was 48 degrees but the air felt chilly when I got outside. I probably overdressed but the weather didn't make me regret the light short sleeve shirt that I wore under my top layer. The cool weather prompted me to start fast. Looking at my splits, I saw why that pace wasn't sustainable. All the same, I missed averaging in the nine minute range by only a few seconds. 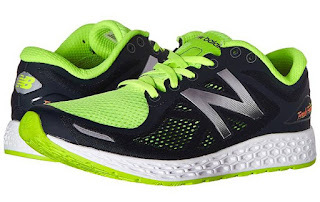 As I ran along, I thought about my New Balance Zante 2s that I bought to replace my venerable Kinvaras. I think the Zantes may be my favorite running shoe of all time. Like the Kinvaras, they are light, low and surprisingly well cushioned. Unlike the Kinvara, they are slightly less flexible and that's why they're working me for right now. The energy return is good and they respond very well on grass. Since switching to the Zantes, my cadence has increased 1.2% and my average stride length has increased 5%. Some of that increase is due to my focus on heart rate, but I do credit these shoes for helping me move along. This morning was ten degrees cooler than Friday, but I dressed about the same. That worked out, although, in the 40 or so minutes that I ran, the temperature rose almost five degrees. I tried to push as hard as I did on Friday, but I wasn't quite able get to match yesterday's speed. I see that my pace has increased in recent weeks relative to HR, which I see as evidence of improved fitness. I'm almost 30 seconds per mile faster at 80% HR max than I was a month ago. 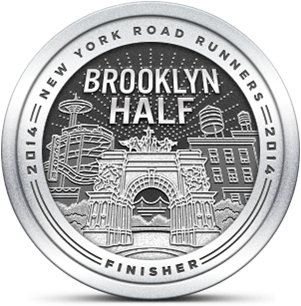 I'm not sure what I'll do tomorrow but I'm thinking about running in the woods at Stillwell or Bethpage. I'm curious to see if my newfound speed will carry over to more technical terrain. I'd also like to do some speed drills to help further increase my cadence. If I can get myself out early enough, I may go to the track instead so I can run before the crowds show up. I agree with that 87.3%.